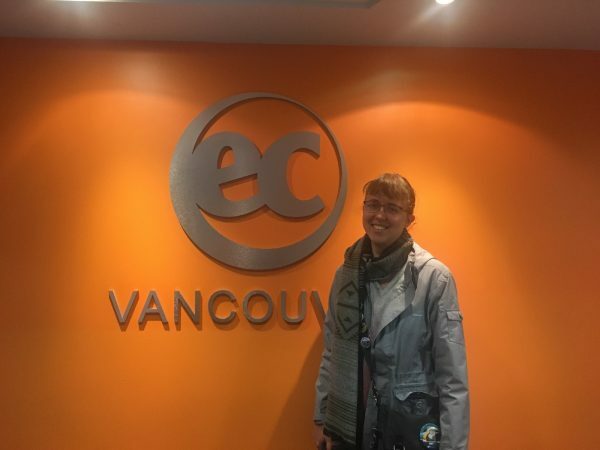 Laura from France would like to share her story about studying at EC Vancouver. She has been with EC for 6 weeks! “Lots of good things happened during my travel in Vancouver. After five weeks, I can say that EC is a wonderful school. There is a very good ambience. We can meet people from all over the world in EC, and lots of students want to make friends and are very friendly. Teachers are involved in lessons. After 6 weeks, students can take a progress assessment to see if they are ready to move up a level. Are you interested in taking an IELTS course in Vancouver? Study at EC Vancouver and take an IELTS test in Vancouver!